We are a semi-private country club that's been providing entertainment for families in East Central Illinois for over seventy years. The club features golf, swimming, and many social events for members and guests. Our nine hole golf course has multiple teeing areas to create what amount to "front" and "back" nines. Played from all eighteen tees, the course measures about 6,000 yards. You'll find tree-lined and watered fairways with bunkers and water in play on many holes. Click here for a more detailed description of the course. There's also a driving range and, yes, you can use your driver! Members and their families also enjoy well maintained swimming and wading pools with a life guard on duty at posted times. The main level of the clubhouse is used for club social events, but is also available to rent for private functions such as birthday parties, wedding receptions, or business meetings. Facilities include the main meeting room (with a hardwood dance floor), a full kitchen, and a separate bar area. Click here for more details. Members are invited to participate in numerous golf events over the season. In addition there are regular golf leagues for men, women, and seniors. A junior golf camp is planned with details to be announced. There is a full calendar of social and dining events throughout the year. Check out the calendar page to see what's coming up. Woodlawn enjoys a somewhat unique management structure. There is a full time clubhouse manager and a greens superintendent, but their efforts are regularly supplemented by members. Each member is appointed to one of the many committees that operate the club. This participation helps us keep costs down, but also adds a social aspect not always present in larger clubs. We'd love to have you join us. 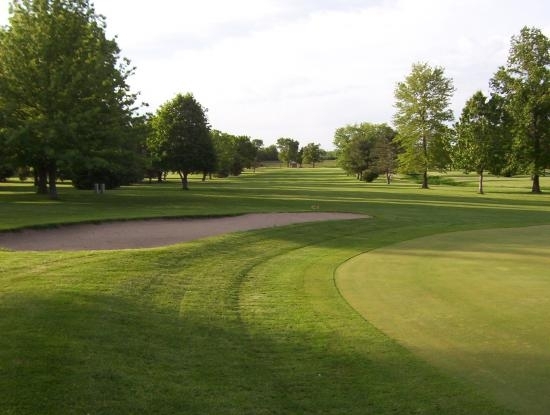 Dues and fees are among the lowest in central Illinois making Woodlawn Country Club a true family entertainment value. Click here for details about dues and fees for membership.